Hey everyone. Today I want to talk about a topic that hits super close to home. 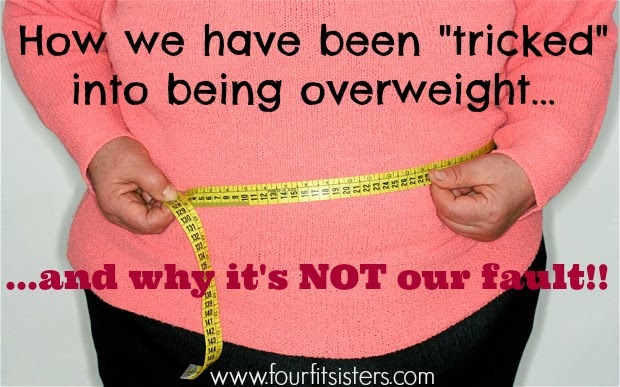 Probably one of the main reasons that we, as Americans, are overweight is because we have truly been tricked. Tricked in so many ways. From the advertising we see every day, to what doctors and science have told us for years, it's hard to follow what is the truth. I want to take a minute to explain why it's so hard. #1. Advertising. Advertising has made it almost impossible for us to truly recognize what is healthy and what is just a scam. Doing the research is hard, but once you cut through the bright colors and faux healthy marketing techniques you can get a better understanding of what you should be putting in your body. Look at all those bright and magical colors. That doesn't mean that the product is doing us any favors on the inside. Not to mention the trickery our poor children have to go through. They have no idea what healthy foods are these days. 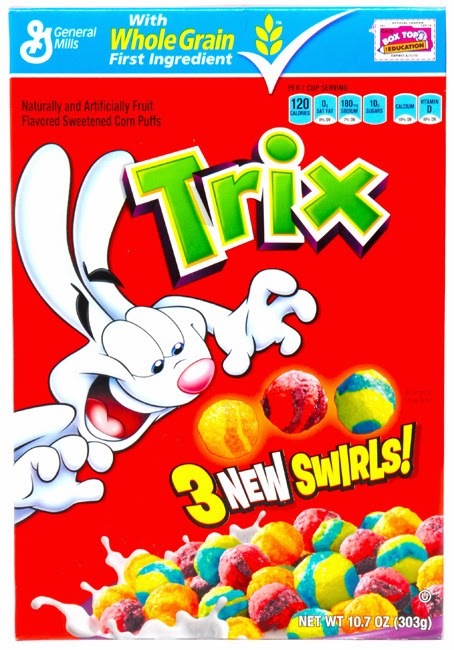 Let's look at this box of Trix cereal. The first thing you see at the top is it's wonderful claim that it's made with "whole grain." Do you, as the consumer, even know what that means?? Most people don't. All it truly means is that the entire part of the grain was used when it was made. That's it. Now, eating the WHOLE grain rather than part of the grain is healthier. That doesn't make it HEALTHY. On the Dr. Oz Show, author of Wheat Belly, Dr. William Davis, compares eating whole grains to cigarettes. That's right, cigarettes. Just because doctors tell you something is healthier for you, that doesn't make it HEALTHY. He compares it to smoking filtered cigarettes to non-filtered cigarettes. The "healthier" or "better for you" version is still not healthy. A diet that is totally high in starch, breads, and other "whole grains" is still a diet high in grains...which makes us fat. This leads me to my second point!!! #2. Low Fat vs. Healthy Fats. In the early 80's obesity blew up in the US tremendously. Why?? People started instilling a fear of FATS into our brains. People were told that fat and cholesterol were making them fat, and killing them. Everything was supposed to be LOW fat. And what did we replace them with???? "Healthy" whole grains. Yep, this is when the explosion hit. 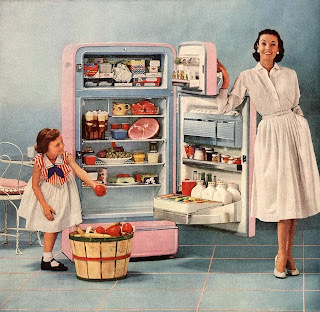 Processed foods took over real cooked meals, and the rest, as they say, is history. Just take a look at this food pyramid on the left that we are all SO familiar with. This is the food pyramid that was taught to me throughout school and that I learned to trust and follow. Look at the bottom and see what it suggests that we eat the most of. Carbs, carbs, and more carbs. Are you kidding me?? It's no wonder my generation can't walk up a flight of stairs because they are so overweight. It's no wonder my generation's diet consists of processed foods, breads and more. We have been taught that it is the healthy way. 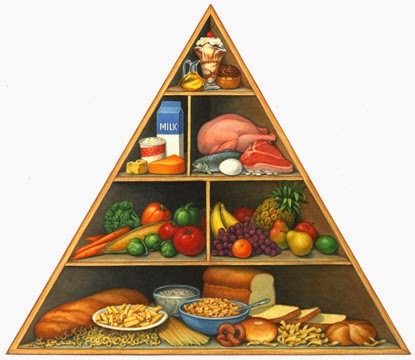 Now...I would like you to glance at the NEWER and improved food pyramid. 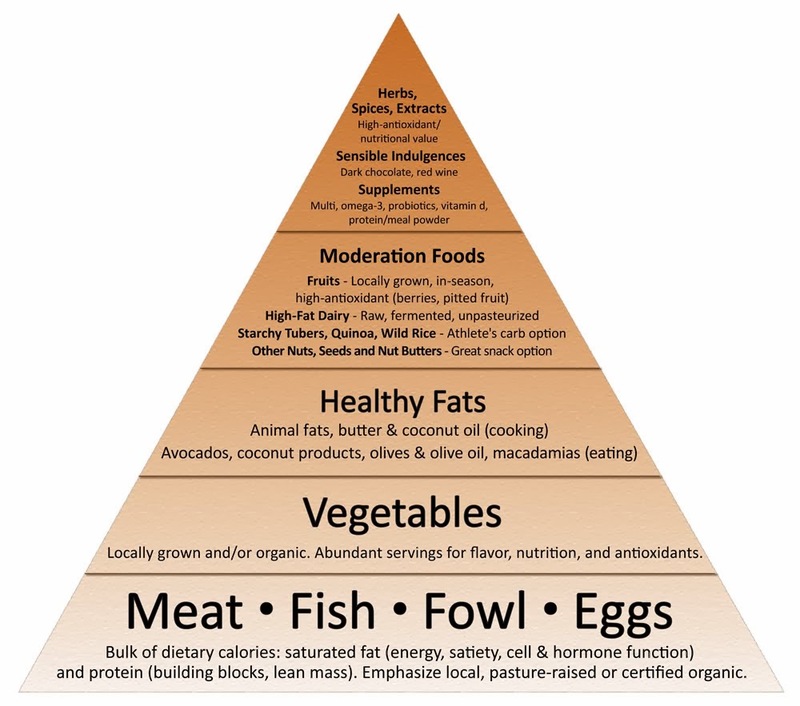 I found this food pyramid when reading an amazing article HERE. It is mind blowing and eye opening to see how many things we are doing wrong. The main part of our diet should consist of meats and proteins. I am not an expert on being a vegetarian, so you may have to do some research for yourself on that!!! Vegetables and fats are next, and then fruits, dairy and the "fun" stuff in moderation. This is the pyramid I live by these days, and have never felt better. Eating this way has been proven to improve overall health. Now, I get the argument all of the time that "grains have been around forever." This leads me to my next point. #3. It's not the same. It just isn't. Grains, wheat especially, and other foods like soybeans, and even corn are not the same product that our ancestors consumed. These have been genetically modified to thrive in current society. This is amazing for those selling it and for a society that, now, never has to worry about hunger. Americans will never go hungry. But, we will become obese and die young. Our ancestors, even our grandparents didn't eat like we do. Their parents cooked REAL meals from scratch, in LARD. They couldn't just throw together ingredients from a shelf that NEVER go bad. We, unfortunately, eat those items more often than real food. That is why the above food pyramid works. It's the foods that our body most easily uses and gets rid of. What we are eating should not thrive in our pantry for YEARS. Call it Paleo, or primal. Call it gluten free, or whatever. If you stick to shopping on the OUTSIDE of the grocery store, seldom entering the inside where there is packaged goods, you will find success. #4. I have preached it enough, but I will say it again...do something besides cardio. Again, our ancestors weren't as overweight because they worked, and moved their bodies around. They had to hunt and fight for food. They did not sit on their butts. Too many people stalk cardio, the treadmill, or just go on a walk. All of those are not bad. None of them are bad. Just mix in other things. Grab a set of hand weights or a kettle bell and make a workout up for yourself. Creating muscle helps your body burn fat when you are just sitting around. I hope this helps you have a better understanding as to why we are having such a hard time losing weight. It comes down to food and movement. However, the emphasis is WAY more on food these days. Doctors and "science" has told us to keep things low fat and carb heavy. That has not worked out well for anyone. Do some research. Find what works best for you. Please let me know if you have questions. With the new 21 Day Fix workout program coming out we will be talking a lot about nutrition and helping you make great changes. We have some SERIOUS specials coming up for the new programs in February. Stay tuned for some surprises and exciting news!!! If you are ready for a challenge group contact one of the FourFitSisters today!!! I might be interested in your 21 day challenge...how much does it cost?